Morgan Stanley’s latest plans has mostly gone under the radar of most investors and analysts in the market. The bank has quietly filed for plans to create and run one of the first compressed natural gas export plants in the United States. This is the first sign that the Wall Street bank is returning to the physical commodity space, even though it has sold its physical oil business. The application to the United States Department of Energy Office of Fossil and Energy was sent in sometime during May of this year. The document was 23 pages long, and outlined a request to construct, own, and operate a compression and container loading factory in Freeport, Texas. This facility will be able to ship about 60 billion cubic feet of compressed natural gas each year. Compared to the larger liquefied natural gas projects, this project quite small. 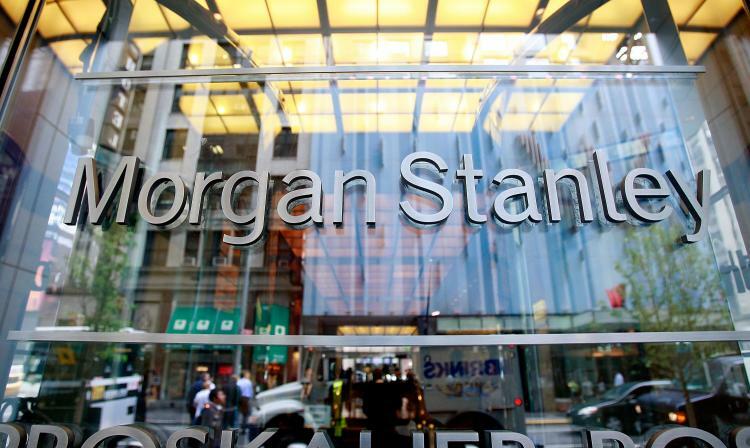 However, the proposal emphasizes Morgan Stanley’s ability to use its position as on of the two banks on Wall Street which are legally allowed to own and operate facilities that produce, store, and operate raw materials. The other bank entity is Goldman Sachs. The activities in the physical commodities space of both banks were cut short when they turned into bank holding companies when the financial crisis struck more than 5 years ago. This move displays a new and effective method to export cheap gas domestically, which could replace the oil used for power plants in Caribbean nations. The United States produced a record high amount of gas from its revolution in fracking. This strategy also avoids the multibillion dollar investments that must be made upfront, long lead times, and the strict application process that is a part of building liquefied natural gas facilities. Instead, it makes use of affordable container ship vessels and readily available containers. There has not been another project like this in the industry. Morgan Stanley plans to ship the compressed natural gas to countries that have a free trade agreement with the United States, such as Costa Rica, Honduras, El Salvador, Guatemala, Panama, and the Dominican Republic. These countries mainly use oil to operate their power plants. Natural gas is often used in the United States to power buses and trucks, and could prove to be a cheaper alternative for these countries. According to a person familiar with the matter, Untied States gas can be collected at $4, shipped and gasified at $1, brought in at $5. Those countries, on the other hand, are paying $20 and sometimes more for fuel. Clearly, there is an opportunity to make money. A spokeswoman from Morgan Stanley refused to comment on the matters beyond the filing of the proposal. The recent boom in production of natural gas in the United States has pushed prices down to less than $4.02 per million British thermal units (BTU). Contracts involving natural gas outside of the United States are usually associated with oils with higher prices, which can increase the cost of gas. The total natural gas production in the United States is predicted by the United States Energy Information Administration to reach 73.9 billion cubic feet a day. This figure also has the capability of sustaining low prices going into the future. It takes roughly 1,000 cubic feet of natural gas to produce 1 million BTU. 5,800 cubic feet of natural gas is the rough equivalent of one barrel of oil. Companies are investing billions of dollars into complicated export terminals for liquefied natural gas, which must go through specialized equipment to cool the fuel to turn it into a liquid form, then to warm it at the receiving end. These structures take years to build. For example, Cheniere Energy is pouring $5.6 billion to grow its terminal at the Sabine Pass in Louisiana to export liquefied natural gas. This facility is expected to be ready for operations by 2015. The process to get approval for the permit is also lengthy – nearly two dozen applications are still waiting for approval. Morgan Stanley, on the other hand, has estimated to spend between $30 million to $50 million to build its plant. Minimal investment activity is needed on the receiving end of the operations. Most of the money would be spent on purchasing the thousands of containers need to ship the gas. Industry experts predict that it will take 12 months to finish building the plant from the time that the company gets approved. According to Andy Weissman, an lawyer dealing with energy cases at Haynes Boone in Washington, the proposal by Morgan Stanley was the first compressed natural gas project that he was aware of. In November of last year, Emera CNG LLC, an energy company based in Florida, filed a proposal to export 9,125 billion square feet of gas per year. The status of this application is not clear and lawyers and executives of the company did not respond to requests for comment. According to a person familiar with the matter, the proposed location in Texa is supposed to be 50 acres, and is currently being examined for suitability. Freeport is a port on the Gulf of Mexico with a draft of 45 feet, and is already a terminal for receiving larger container ships carry tropical fruit, which is imported by companies like Dole and Chiquita. Morgan Stanley must lease the existing loading docks at the location, but plans to buy its own containers. According to the proposal, gas will be piped into the plant through a third party pipeline that measures 11 miles long. This pipe will be connected to the Brazoria Interconnector Gas Pipeline, which transports natural gas within Texas. The gas will be compressed before traveling in the pipeline. The gas will be further compressed and contained in the pressurized natural gas containers, then loaded onto container ships. According to another source, putting the gas in containers and shipping them all over the world is a logistics nightmare. For most people, it is difficult to find a way to be profitable doing this. This foray into natural gas signifies an venture into the physical commodity market for Morgan Stanley. Since five years ago, the bank sold most of its physical oil businesses, ending its reign as the largest physical oil trader on Wall Street. The assets that Morgan Stanley sold included TransMontaigne, an oil transport and storage company. Also the bank sold its global oil trading business to Russia’s Rosneft. According to the Gramm-Leach-Bliley Act, which was put into effect 15 years ago, only Morgan Stanley and Goldman Sachs were the only two banks that were granted grandfather status for any activities involving commodities they engaged in prior to 1997. Experts in the industry are unsure of whether to bank was using its position to build the natural gas plant. However, by appointing two of its commodities executives as officers of the natural gas subsidiaries shows that the company may have more control of the investment, than one that is held at an arms length by a merchant banking authority. The proposal is filed under the name of Wentworth Gas Marketing LLC, which is a company based in Delaware with an address for business operations in Purchase, New York – the location of Morgan Stanley’s commodities group. Morgan Stanley wholly owns Wentworth Gas Marketing and Wentworth Compression LLC, which operates under Wentworth Holdings LLC. In the proposal, there is an agreement that Wentworth Compression will sell compressed natural gas to Wentworth Gas Marketing. This agreement is signed by two executives from Morgan Stanley, Peter Sherk and Deborah Hart. Deborah Hart is the chief executive officer at North American Power & Gas under Morgan Stanley. She is also the vice president of Wentworth Compression. Peter Sherk is a managing director and co-leader of commodities trading, and the vice president of Wentworth Gas Marketing. The Federal Reserve refused to release a comment on the natural gas project. Morgan Stanley did not comment either about which entity it was using to pursue the project. The proposal by Morgan Stanley was filed just months prior to the purchase of Deutsche Bank’s North American natural gas trading book.